It has always been observed that many travelers don't pay much attention to 'what to eat and where to eat?' while planning their trip and is quite understandable as initially, all their attention remains focused on at-hand tasks like mapping out the best things to do and see etc. And it is usually when they actually sit to eat that they wonder 'Why did they forget to research the food scene?' Though, as you must be thinking that such things mostly happen with the first-timers, yet you can’t deny that exceptions are always there. Hence, in this section, we will give you a heads-up on what foods to expect in Oman and what are the highlights that you should not miss at any cost. Many times it is said, and you must have heard that 'People eat food to live, rather than living to eat'; Muscat is just the place where this fits the best. However. it doesn't mean that Muscat is not great when it comes to food variety. In Muscat also you will find a great variety of culinary marvels that are just unique to this land! Beach Pavilion at Al Bustan Palace is known to offer the freshest seafood in Muscat, Oman. Its outdoor dining makes it the chicest and refreshing beach grill in the whole of Oman. China Mood’s authentic Chinese cuisine makes it one of the best Asian restaurants in Oman. 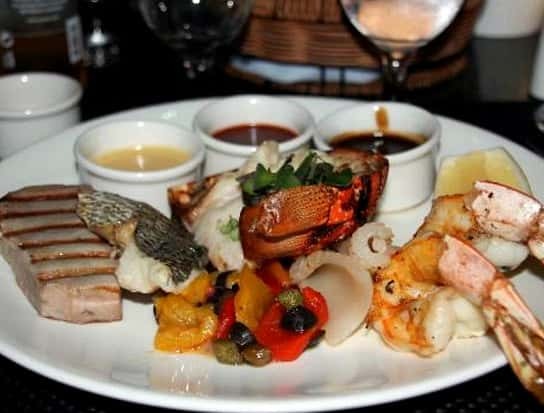 Its kitchen offers an authentic food menu, including seafood famed for its surreal mix of flavors. Al Khiran Terrace is known to offer a scrumptious buffet for breakfast and lunch, and for dinner, special themed buffet nights are held on a daily basis. Saturday is the seafood night. BLU offers an ultimate 'outdoor pool and garden experience' and its food offering includes a bevy of things, including seafood mostly fish, fried or grilled. Shakespeare & Co's Chocolate Fondant is nothing but a simple warm chocolate cake with a molten core complemented by some vanilla ice cream on the side. 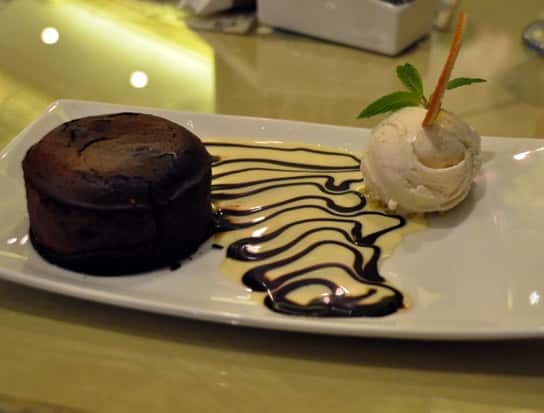 Chili's Molten Chocolate Cake is an adorable small mountain of chocolate, covered with vanilla ice cream ball which is further coated with a thin frozen sheet of chocolate. Hot Cake Pudding is unique as it is made up of hot fudge; it comes topped with an ice cream splashed with chocolate syrup and nuts that add an extra level of richness to it! Chocolate Brownie Pudding includes a bowl of chocolate brownie mixed with chocolate sauce, pecans and toffee and is severed with vanilla ice cream on the side. It is a traditional Oman-styled spot located at the heart of Madinat Qaboos complex, has outdoor seating rugs and offers great kebabs, mezze, rice dishes, and salads. No alcohol! It has been the part of Muscat’s food scene for the past 20 years and more; it is known for its superb Indian food, musical entertainment and a panoramic view of the city. Located 2.5 miles south of Muscat, at Marina Bandar Al Rowdha, Marlin offers international food as well as locally caught fish plus sandwiches and salads. 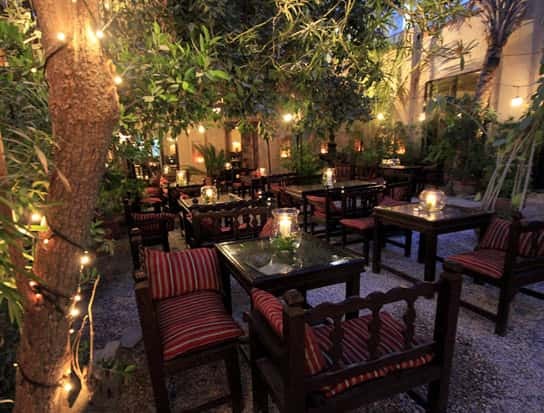 Ubhar is designed to enchant, with its traditional floor-level seating, it is a great place to visit. Same applies to food; however note that Desserts are its main highlight, especially the halva-based offerings.